In the United States, Congress has created and maintained a federal schedule of controlled substances since the 1970s. Drugs are classified on one of five schedules, depending on a comparison between the addictive nature of a drug, the potential health concerns, and whether there are approved medical uses for a particular drug. The United States Controlled Substances Act (USCSA) contains prescription medications manufactured legally as well as street drugs made in underground labs and sold on the black market. A Schedule I controlled substance would be considered the most addictive or dangerous to society, and may have no approved medicinal uses. Unfortunately, as our Los Angeles medical cannabis attorneys can explain, during the time the USCSA was enacted, there was a lot of political pressure to keep marijuana illegal, and Congress voted to include marijuana and all THC derivatives in the Schedule I category. According to a recent news article from the Orange County Register, this classification of Marijuana as Schedule I controlled substance is irrational and should change. The article focuses on a recent case in which a federal judge refused to remove marijuana from the highest schedule. While many expected the judge to do this, it does highlight a major impediment for many who wish to enter the medical cannabis business. In U.S. v. Brian Justin Pickard et al, the judge first ordered there be a full evidentiary hearing on this issue. 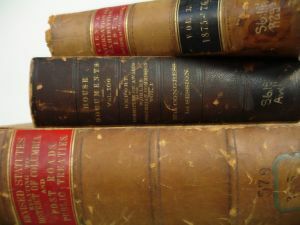 An evidentiary hearing is one in which the parties will call witnesses and present evidence, as opposed to one in which the parties just submit briefs and make oral arguments, and a judge decides based upon these arguments. This evidentiary hearing, which lasted for days, focused in large part on whether marijuana truly met the criteria for being listed as a Schedule I controlled substance. While it seems obvious it would be easy to overcome a claim marijuana is highly addictive, unsafe and has no medicinal value in our current society, the judge’s refusal to remove the drug from Schedule I demonstrates how engrained these outdated fears of THC are in our justice system. While both sides put on extensive evidence, and there really isn’t a question many doctors support the use of medical marijuana, trial judge ruled since there was some ambiguity in medical research and many unanswered questions still remaining about the health benefits and dangers of marijuana, the appropriate resolution was to keep it in the same schedule in which it has been for the past 45 years. Essentially, this judge was not willing to rock the boat too much. Additionally, the judge elected to apply the rational basis test to determine whether the current schedule for marijuana was constitutional. Under the rational basis review standard, the government must only show there is some rational basis for treating the drug as addictive and dangerous. In other words, if the government can show any reason for their law choice, it will stand up to scrutiny. There are higher standards of review, which require more of a showing the law is connecting with a significant government interest and is narrowly tailored to achieve their goal.